What is tradition in a country with a history of 5000 unbroken years? 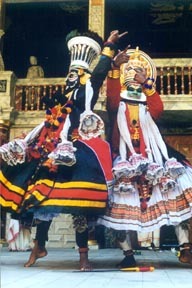 If 5000 sounds pompous, although historically established since the days of the Dancing Girl of Mohenjo Daro found circa 2500 BC, let us be modest and put tradition at a humble 2000 years from when we have detailed text on dramaturgy, the Natyasastraand later on other texts like Abhinaya Darpana and Sangeet Ratnakara. All alien words not merely to foreign audiences but Indian too! Independent India, a mere fifty years plus, has striven hard to re-establish some of the links to the traditional past. What is that in terms of dance traditions? Take Bharatanatyam from the South Indian State of Tamil Nadu today, on the east coast (not to be mistaken for Kathakali dance-drama of Kerala also of south India but the west coast). Direct records show its most recent incarnation for performance mode as being devised by four brothers collectively called the Tanjore Quartet, who served the Maratha rulers of Tanjore in the 18th century. These four illustrious brothers (no need to bother you with their tongue-twisting names, but if you must, they are: Chinniah, Ponniah, Sivananda and Vadivellu) devised what we commonly call a "margam" format of Bharatanatyam in practice even today. It is a set of seven items, with an invocatory and concluding number. So this was Bharatanatyam, devised in court, 200 years ago, arising from a tradition of temple-dancers, called devadasis. The temples were the preserve of classical arts till the arrival of Colonists whose dispensation, by definition, changed the rules of patronage. First, the royalty was affected which in turn affected the fortunes of local landowners who supported temples and later, over a period of time, the very climate for indigenous arts changed. This is not to say that all the Colonists did was in poor taste but that they had little taste for dance dubbing it "nautch" and equating it with the dance of the "fallen" women. While it is easy to blame all ills of India on foreigners who did contribute to changing tastes and values, one cannot forget the role of some native rulers in trying to emulate Western masters (read, British!). If ballroom dancing became popular, it must be owing to the local rajah's penchant to emulate or "feel one" with his masters. Though this does not either justify or absolve most of the "transition in tradition", it certainly puts it in perspective. I will jump and juggle around a bit, but then I am dealing with at least 2000 years of history in a twenty-minute frame! Bharatanatayam's best specimens 'Ram Gopal, Bala, Rukmini Devi' did not question tradition when they came center-stage as early as in the 1930s. Why? Because they were "reviving and resurrecting" an almost dead art. Or, they were proud to continue the art of their masters as taught to them. This was the basis of much tom-tommedGuru-Shishya parampara, or the technique of transmission of art, orally, from a master to a pupil and so the chain continued. Remember, most masters were men. Why? Because belonging to the caste of devadasis who were by inference "women of loose morals" (from a prudish Victorian point of view), their offspring, born outside wedlock were illegitimate, simply put. To change their status and standing in society, they were trained and equipped in the art of their families, i.e. teach and conduct dance recitals. Hence, most such men became venerated masters, nattunars or conductors of such stars of the form as make legends today. It would be cruel to dismiss the devadasi so. For, overnight, by an act of Parliament in 1947 ' the year India independent ' they were labeled "prostitutes" and their art, worshipped and celebrated for centuries, thrown to the dogs. In the mid-thirties, a "society girl" Rukmini Devi, married to a foreigner, George Arundale, decided to "save" this art as it were. High society celebrated her and as is the wont, both the media and the men in power (then as now) followed what was popular or news-worthy and made her a star overnight. This encouraged many young Brahmin girls to take to this form, shunned until now, but given respectability once this powerful (Brahmin) lobby took over. Attempts are being in Madras (provincial then and more provincial now!) to make Kamala Laxman, a much later dancing star as role-model for this change in fortunes of the form. This can at best be dismissed as a lame excuse or old men's besottedness with the screen image of Kamala who regaled audiences with trite snake and peacock dances. In history of Bharatanatyam, Kamala was popular (so is Helen!) but nothing more or lasting. The climate of revivalism and resurrection and "everything bad must be of foreign origin" was the mantra of this brahminical lot which set out to displace the devadasi and usurp her art, devoid of the context. They wished to acquire and appropriate "culture". 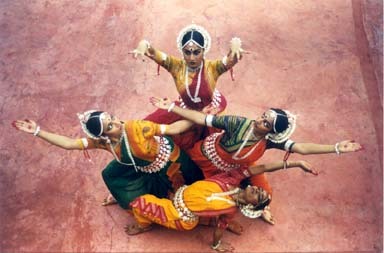 Bharatanatyam stood brahminised and an essentially Brahmin media and men in power helped the process reach a pinnacle where the original practitioner of the art form, the devadasi was shunned and Brahmins all ' the Rukminis, the Kalanidhis and the Kamalas shone. The efforts of E. Krishna Iyer saved the art of the devadasis from total annihilation and one devadasi in particular ' Bala ' could stand up to this "society ladies lot" and give them a run in their nine yard sari! till date, she remains the most important bridge, link, and model of that tradition. And Bhanumati to lesser extent. M.K. Saroja, a mudaliar (and much later, Alarmel Valli a Chettiar) proved two exceptions to this scenario by being neither of Brahmin nor devadasi origin and were respected and celebrated for their art. Today, devadasis are far and few in between and the brahminisation of Bharatanatyam is complete. So much so, dancers of other forms like Orissi in east, Sanjukta Panigrahi and Sonal Mansingh, expressed desire to serve as devadasis in temples, an irony lost on all. Did a tradition undergo a transition or mere displacement? Is the transition more about context than content? Is merely a change of format transition? In Bengal arose a legendary dancer Uday Shankar (elder brother to Ravi Shankar) and he created what could be called the first bridge to "transition". Of course, had Anna Pavlova not picked him up to partner her in her Radha-Krishna numbers, he might have remained a painter for which he had been sent to England in the first place! Somewhat like Ram Gopal who was made by La Meri using him as a partner, many Indian dancers' fortunes were made by catalysts from outside India. Gopinath by American Ragini Esther Devi, Ananda Shivaram by Australian Louise Lightfoot. Uday Shankar used Indian themes but demystified most classical styles to create his own style popularly dubbed after him. 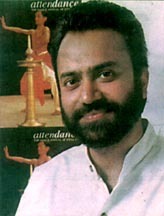 Till date, he is hailed and held to be the father of "modern or contemporary Indian dance." Unfortunately, most of his students, Narendra Sharma, Sachin Shankar, Prabhat Ganguli, tried to overreach their intellectual and artistic capacities and failed to either continue the Uday Shankar style or create something lasting of their own. Only his daughter, Mamata Shankar retained some critical components of the style. By the 1970s, both the man and the style failed out. It was in the 1970s that a failed Bharatanatyam dancer, Chandralekha by name, decided to break away from her mould, tired as she was of the margam format and the traditional repertoire of love-lorn lady waiting for her lover ' the fodder forpadams (love songs) in Bharatanatyam. The 1960s were a time of considerable change. Remember the Beatles, the hippies, Vietnam and feminism? Chandralekha must have absorbed some of that spirit and as everything comes to India at least a decade later, if not a century, she, out of protest or in defiance or simply to look different, dyed her hair white since the scriptures and traditional material described all maidens as "black-haired beauties with kohl-rimmed eyes'" and tried to chart and individual course. The credit for her rise goes to a German, George Lechner, who in his role as director of Max Mueller Bhavan in Bombay tried to bring about East-West encounters. Instead of the Alarippu-to-Tillana format of presentation, she did group work, undertook esoteric themes, teamed up with Kamadeva, a beautifully endowed and trained male dancer and in the1980s flowered into her own by creating productions like Angika and Lilavati which held. Later day attempts to make her the Pina Bausch of India fell flat and her recent productions like Raga seem to indicate that her best is behind her. After Chandralekha, the notable dancers who show potential in carrying this movement forward without mauling or subverting it are dancers like Anita Ratnam, Auroville Anu and surely Leela Samson and her disciple Navtej Singh. Samson a product of strict, starched Kalakshetra mould where even Sita goes to exile intakitakitatoum (a sad scene depicted in a typical, flighty Kalakshetra format subverting the theme) has gone beyond it to create a style which flows and holds well. Padmini Ravi is the latest addition to the tribe of Bharatanatyam artistes doing meaningful work. In Kathak, Kumundi Lakhia of the textile city of Ahmedabad tried to do away with the excess mannerisms and coy-ploy stuff meant to entice royalty when it was a chamber art and create group works that held. she took the court etiquette, the effeminate traits of male dancers away and shaped it into a ramrod, clear-cut, precise jewel. Her disciple Daksha Sheth ranks today as India's best creative dancer. Daksha Sheth additionally learnt Chhau and Kalari, revived a dying temple performance tradition in Braj (Mathura-Vrindavan) and moved to Bangalore at Nrityagram before setting up her own center in Kerala on the outskirts of Trivandrum. She is genius material and the only one to have evolved a truely wholesome contemporary dance language which while being Indian is also international. First-rate. Another Kathak dancer who shows potential in exploring new vistas is Aditi Mangaldas. In Kathakali, the credit goes to a Parisian, Annette Leday, whose over twenty-year affair with the form led her to create such vast themes as King Lear in Kathakali, premiered last year at The Globe. Nothing illustrates better the idea of "a tradition in transition" than this photo or production. Earlier, Faust and such like themes were attempted too but with no sustained output. In Orissi, the best ensemble work comes from Nrityagram, the dance village on the outskirts of the science and silicon city, Bangalore, which gave the world such renowned names as Ram Gopal, Krishna Rao, Shanta Rao and Maya rao. Nrityagram was the brainchild of Protima Bedi, a Bombay bindaas girl who took to Orissi at the late age of 35 and went on to become its best promoter. Her death two years ago robbed her institution ' the only true functional gurukul (dance school) in India today ' of her presence but her star students Surupa Sen and Bijayni Satpathy continue her work. Sharmila Biswas in Calcutta is another Orissi dancer who amalgamating different trends and strains of Orissi and trying to extend its parameters. In terms of transition, Sonal Mansingh has, with help from Jiwan Pani, poet of Orissa, tried to experiment with the form and a few of her productions likeDraupadi and Tantra-based ones hold. Sonal Mansingh is well placed historically to do to Orissi what others have done to other forms, although Madhavi Mudgal with her students too has created works like Sohamasmi that regale. Shobha Jey Singh (UK), Ramli Ibrahim (Malaysia) and Janaki Patrik (USA) are few exemplary specimens abroad of using tradition for transition. What I have touched upon is a rather slender sketch of how tradition at a given point in time can evolve and transit to lend itself to creative possibilities. And, an essentially solo art form is increasingly becoming group-oriented. That is a major transition. Tired of the same traditional stuff of gods and queens, perhaps the Indian audience, or is the artiste, are seeking something relevant to their life and times. With environmental degradation, urban and population explosion, where can Radha go to a pond to look for lotuses which remind of Krishna's eyes? Or in age of MTV and Vengaboyz who go Boom, Boom, Boom where is the time for evolved Telugu or Tamil or Urdu poetry? Has the audience profile changed, thanks to an invasive TV culture or are we witnessing a fatigue from thousands of years of "culture"? The reverse is more true. Suddenly, everyone who can move a limb or has not in the last ten years has decided to "break anew". This lot is to be most wary of, for they have no foundation in traditional form, have barely learnt enough to walk on stage, let alone dance and since they cannot even do a traditional margam properly, seek to justify it by "deconstructing traditional dance".